Ben Goss, Sashswach’s Dangerous Career, 2006. Oil on canvas, 122×122 cm. Ben Goss’s sophisticated paintings are a tribute in part to his experience and expertise as an illustrator. Goss graduated from Curtin University in Perth, with a Bachelors degree in Art and Design. Goss established his career as an illustrator in Sydney, the UK and USA. His Illustrations have appeared in The New York Times, The Guardian and Taschen books. He continues to work for a broad range of clients in the print media from corporate to editorial andhas fulfilled a number of painting commissions, including Qantas’ in flight catering artwork. 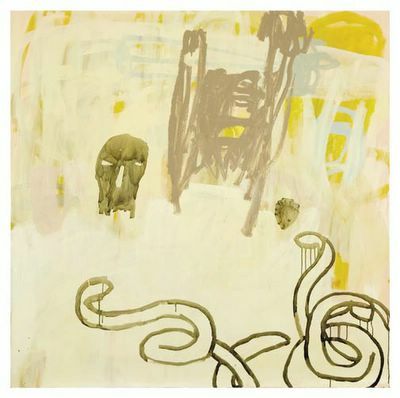 His paintings are indicative of his exploration within a consistent method of composition. The final work is the result of an instinctive process whereby an initial image is completed and then painted over in a process that “reveals and conceals”. The result is a dynamic contrast and richly textured surfaces that glow from the canvas. Goss explores the transient nature of events and structures, as they recede and are retrieved via memory. The images are rendered distorted, softened by elements of nostalgia. There is a sense of wistfulness, as images from childhood are examined and reproduced; fragmented glimpses of fiercely felt emotions. Tangible feelings and actions become blurred; a narrative is formed as time contributes to the process of imperfect recollection. The physical act of applying paint builds layers to form an image defined by obliteration and by exposure. Reinforced by Goss’s technique, the element of loss is always present. When it comes to music technology smaller is better, its smarter, cleaner, fits into a neat compact case with ease, it goes with your house, your car, your dog, fits onto your arm when jogging and of course it doesn’t skip, scratch, jump, click, or buckle. There’s no messy art work, no 24 tracks, no 10 songs per side, no annoying A or B, no laborious cleaning, glove wearing or pedantic cataloguing. When you have a party no one can dance on your music wearing stilettos, isn’t that great. 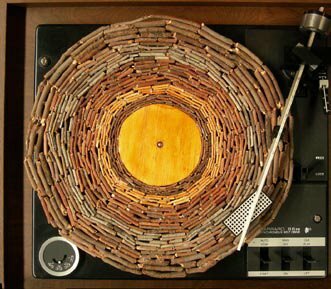 Vicky Browne has been messing with old turntables, walkmans, records, tapes and cds for a while, recently moving into the domain of ipods and music mashing. She works in a messy garage, kind of like an uncle you may have had, that made picture frames out of baked bean cans. Utalising cheap china town materials, she forces them into situations they would rather not be in. 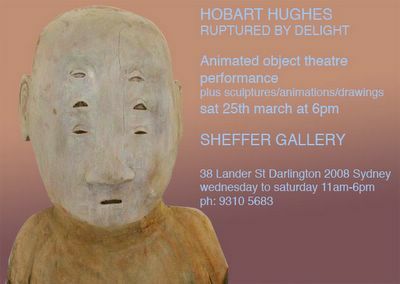 Vicky Browne is a New Zealand born, Sydney based artist who since graduating from Sydney College of the Arts has shown at Performance Space, Mop gallery and recently in ‘El Dorado’ at Downtown Artspace Adelaide. Art2Muse is holding an exhibition to showcase ten established artists. The launch features guest speaker, internationally acclaimed graphic designer, Vince Frost, who is currently showing at the Opera House. Vince Frost will speak on making art accessible to the public. Art2Muse is an online gallery which showcases established Australian artists at an affordable price. Art2Muse has been operating for four years holding six exhibitions a year at various Sydney venues. With low overheads Art2Muse is able to add only 15% commission ensuring a fairer price for artists and art-buyers (galleries normally add 40%). 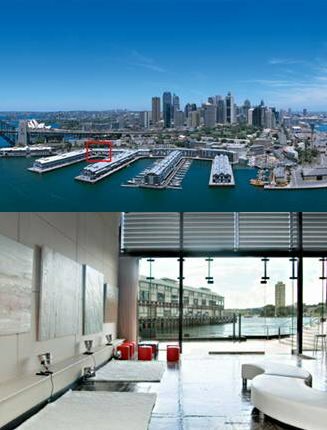 The venue is Simmer on the Bay, a beautiful new gallery space with magnificent water views near Sydney Theatre Company on Walsh Bay. • Exhibition Launch 6-9pm 15th June 2006. • Guest Speaker: Graphic Designer – Vince Frost. • Music: DJ Mistry with live percussion. • Venue: Simmer on the Bay at Walsh Bay. • 10 high profile artists selected from Art2use. • Painting; photography; sculptures & print works. • Shore 2/3 13 Hickson Road, Walsh Bay, Sydney. 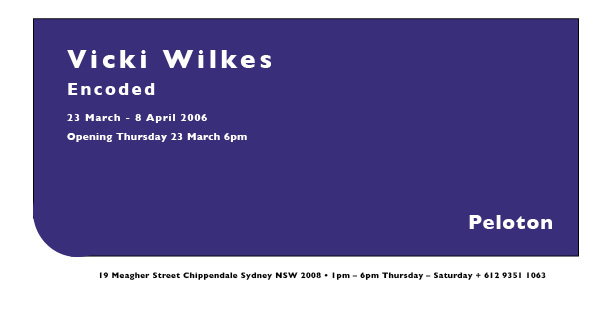 • Exhibition extends until 21st June 2006 10 – 6pm daily. Artists: Brendon Mogg – Georgie Gall – Berit Zetterman – Jan Stapleton – Meredith Gaston – Sam Bienstock – Renata Pari – Saffron Drew – Margaret Adamczak – Gareth Graham. What’s Wrong With Peter Timms?